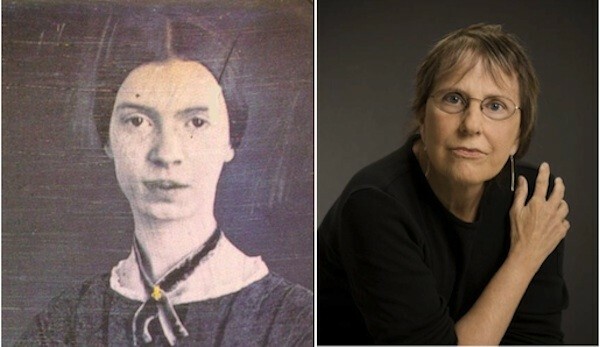 If a teacher were seeking to explain how Emily Dickinson’s nonsequential, fragmentary poetics is palpable in the work of Language poet Rae Armantrout, he or she need look no further than Armantrout’s PennSound author page. There, the teacher would find a recording of Armantrout reading her stunning poem of found language “The Way,” as well as a Close Listening conversation between Armantrout and Charles Bernstein in which Armantrout explicates the poem’s lingusitic origins, pronoun problems, and line breaks. Both of these recordings are featured at the end of this podcast, which Al Filreis uses to remind PennSound listeners, new and old, of the archive’s mission and breadth. Indeed, at the time this podcast was recorded, PennSound was host to some 8,000 recordings, including a number of first-generation American modernists (Ezra Pound, William Carlos Williams) reading their work; Allen Ginsberg reading from Howl at San Francisco State University in 1956; and David Wallace reading Geoffrey Chaucer’s poetry. PennSound was then working towards a goal of comprehensiveness that it continues to strive for now, as it acquires more recordings that elucidate lineages and serve as pedagogical tools.